No one understands love and romance like Mary Fiore. After all, she's the most prestigious wedding planner in San Francisco. Specializing in making everyone else's dreams of love come true, she's too busy to have a love life of her own. While celebrating her newest and most lucrative account - the wedding of internet tycoon Fran Donolly - Mary is rescued from a near-fatal collision with a runaway dumpster by handsome Dr. Steve Edison. After spending the most enchanting evening of their lives together, Mary thinks she's finally found a reason to believe in love. Think again. 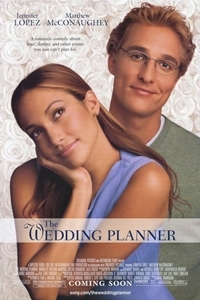 Mary's world is thrown upside down when she discovers Steve is actually Fran Donolly's groom-to-be, and Mary is their wedding planner. Career and cupid have collided head on. Just when Mary thinks things can't get any worse, her father, Salvatore, takes it upon himself to fix Mary's limp love life by pre-arranging her marriage to Massimo Lanzetta, who just arrived from Sicily. It's a showdown between love and logic, and the future of Mary's heart is at stake. Will she abandon her cynicism and embrace romance? Will she learn to believe in the one event she has so diligently planned yet so emphatically eschewed? Will Mary be true to her work or true to her heart? When a successful, controlling wedding planner falls for the fiance of one of her clients, her life begins to fall apart. And so does the movie.